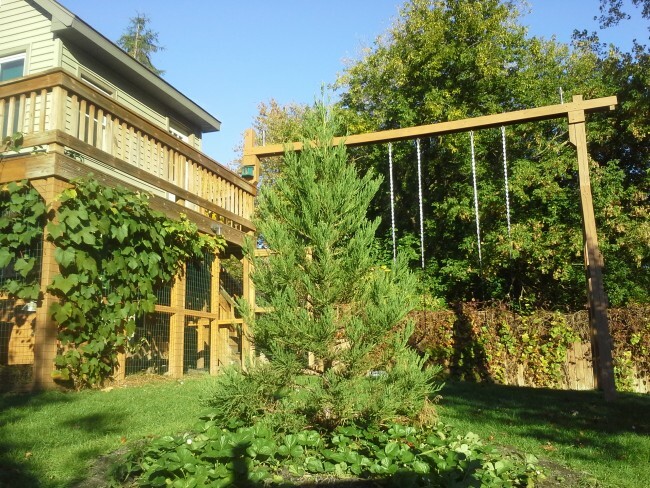 Thanks to Tim Orent for this updated picture taken on October 14, 2013 of his sequoia tree that he planted as a seedling back on July 22, 2010. You can see how much the sequoia has grown since the last picture he sent us when it was a year old. Thanks for the update! 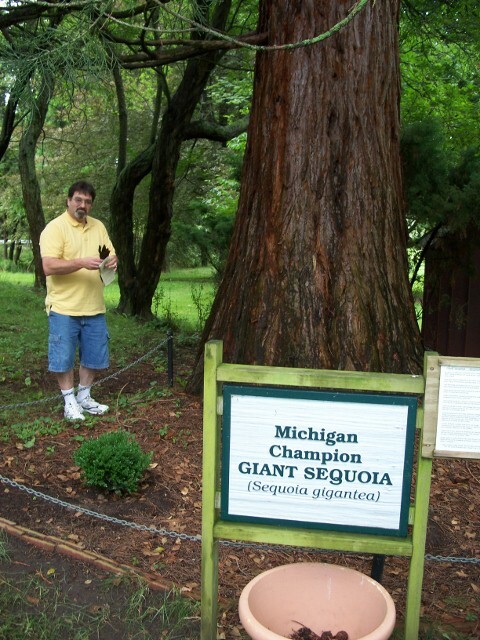 Tim Orent planted a 12 inch giant sequoia seedling from our nursery on July 22, 2010 in Comstock Park, Kent cty, MI. At one year it is 3 feet tall and base is 2 inches thick. He has 4 ducks and spreads droppings 3 feet away from the base of the tree. We purchased this Giant Sequoia seedling from your company in the Spring of 2007. It is thriving in its current habitat of Warren, Michigan...a suburb just north of Detroit. The photo is from December 2012. Thanks to John Moses for sending us this great picture. Loren B was able to visit one of a few 90 foot giant sequoias in Manistee in August 2010. Thank you Loren for sending this updated image of this healthy tree. Manistee Sequoia - This is a picture of my son and state of MI giant sequoia, located in Manistee MI picture taken May of 2005. There are 2-3 other sequoia's including an offspring of the biggest tree. It was planted in 1949 after carrying it home in a coffee can. Mark planted one the seedlings from this nursery in June of 2008. 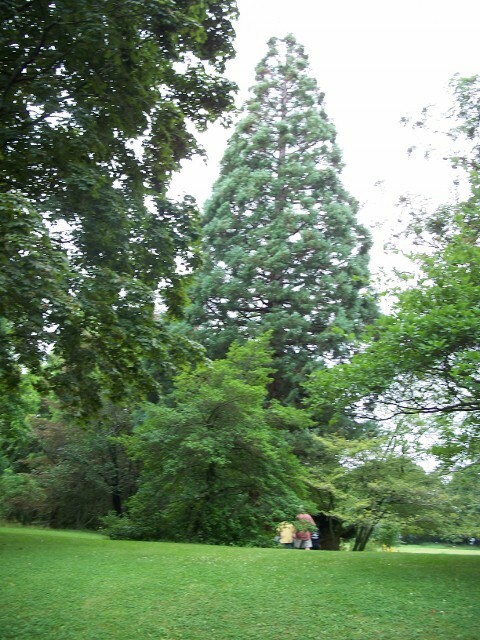 By May of 2010, this giant sequoia has grown through the seasons of Michigan and is very healthy. The diameter of the trunk is 5/8 inch with a height of 15 inches.